C.H.E.S.S and the Deep South Center for Environmental Justice Host Africatown Community Forum on Nov. 30th – Africatown C.H.E.S.S. Mobile, Alabama — The newest nonprofit in Africatown — Clean, Health, Educated, Safe & Sustainable, Inc. or C.H.E.S.S. — will host an Environmental Justice Community Forum at the Hope Community Center, 850 Edwards Street in Plateau, on Thursday, November 30, from 5 p.m. to 8 p.m. The event includes a free dinner and door prizes. This forum introduces residents of Africatown to leaders of the Deep South Center for Environmental Justice (DSCEJ), created to address health and environmental issues in the Gulf Coast region using an equity and racial justice lens. They are coming to listen to residents about the biggest needs and obstacles they face in their community, then identify ways they can bring the weight of their expertise and funding to help them. The guest speakers include sociologists Dr. Robert Bullard of Texas Southern University (TSU) and Dr. Beverly Wright of Dillard University, two pioneers in the Environmental Justice Movement. Their universities are part of the HBCU-CBO Gulf Coast Equity Consortium, a collaborative project involving Historically Black Colleges and Universities (HBCUs) and community-based organizations (CBOs). Using state-of-the-art tools, community input and policy review/analysis, the Consortium will develop comprehensive plans and action strategies that seek to address social inequality, health inequity and the well-being of children and families in the five Gulf Coast states – Texas, Louisiana, Mississippi, Alabama, Florida – with a special emphasis on Houston, New Orleans, Gulfport-Biloxi, Mobile, and Pensacola. TSU was recently awarded a $3.3 million grant from the W.K. Kellogg Foundation to expand the consortium’s work in five communities in the five Gulf Coast states. Other speakers at the Nov. 30th forum include Dr. Elica Moss of Alabama A&M University, Dr. Joan Wesley of Jackson State University, and Dr. Denae King of Texas Southern University. In August, residents in Pensacola, Florida’s Wedgewood Community attended a similar forum conducted by Unity in the Family Ministry, one of the Consortium’s five local nonprofit partners. Both Wedgewood and Africatown — historically black communities whose residents are mostly working-class or poor — suffer from a disproportionate number of heavy industries in their communities. In Wedgewood, it is more than a dozen landfills. In Africatown, it has been paper mills, and now, a growing number of large petrochemical storage tanks on the banks of the Mobile River where the community sits. Residents in both Gulf Coast communities believe decades of exposure to pollutants from these industries have caused a number of serious health problems over the years. For years, the Africatown community has been smothered and stifled by the encroachment of large polluting industries seeking prime real estate along the Mobile River. Africatown’s residents have long fought tireless environmental justice battles to preserve the quality of the air, land, and water that they depend on for their very health and that of future generations. Dr. Bullard is known as “the Father of Environmental Justice” because his decades of research found that people of color are the majority of those living closest to the nation’s most hazardous industries and waste facilities. Dr. Wright is renowned for her 25-year advocacy work on behalf of low-income and minority residents along “cancer alley,” an 85-mile stretch of the Mississippi River above New Orleans where about 140 industrial plants spew pollutants into the river; she is the founder of the DSCEJ. The goals of the DSCEJ and its consortium partners include research, data collection, community training and advocacy on behalf of the five communities that are included in the $3.3 million grant. C.H.E.S.S. exists to ensure that the Africatown community, in Mobile, Alabama is Clean, Healthy, Educated, Safe, & Sustainable. Through its partnership with the Deep South Center for Environmental Justice, the HBCU-CBO Gulf Coast Equity Consortium, and the Kellogg Foundation, C.H.E.S.S. will implement strategies and best practices that improve the quality of life in the Gulf Coast region’s most underserved areas. C.H.E.S.S.’ aim is re-establish the unity in a neighborhood that once thrived as the example of the most loving and family-oriented atmosphere in the Deep South. C.H.E.S.S. will be the leading example of change-makers in the historic Africatown area through projects geared towards: beautifying streetscapes; innovative community restoration; preserving historic homes and institutions, particularly the first public school for African-Americans in the State of Alabama; producing quality foods and increasing living standards; youth programs and social initiatives; and retaining the culture and heritage of a nearly forgotten people, descendants of kidnapped Africans on the last slave ship brought to America. 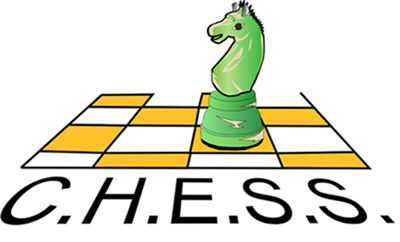 For more information about C.H.E.S.S., please stay connected with us on Facebook @CHESSMobile.